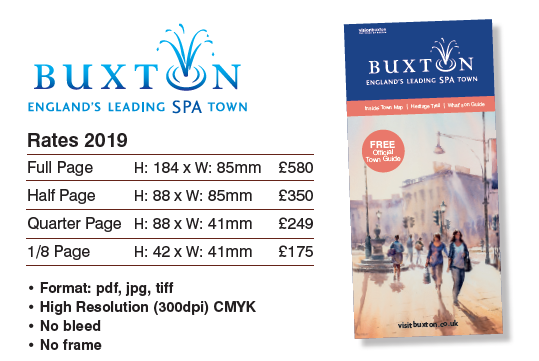 Would you like to advertise your business in the next Buxton Town Guide? Please see the rates below. It will have a print run of over 75,000 and be available throughout Buxton and further afield. To reserve space, email David Mulholland of Galloways printers: david@galloways.co.uk. The deadline is 30th November 2018 and artwork is required by 31st January 2019.